I decided to take a different approach to grocery shopping this week and skip the grocery store (mostly, anyhow) and buy as many local products as I could. My adventures led me to the little town of Lemoyne, where I was able to sample and purchase a great variety of culinary delights. I started the day at the West Shore Farmer&apos;s Market. Open Friday and Saturday mornings, this market is bustling with activity and full of fresh fruits, veggies, meat and prepared items including pretzels, pizzas, tacos and even dog biscuits. Next on my list was Macris Chocolates. Although it&apos;s not a traditional grocery item, it was a sweet treat that you don&apos;t want to miss! The shop has a delicious aroma of chocolate, which can only be trumped by the actual candies themselves. If you&apos;re a tea or coffee drinker, Kauffman&apos;s is a hidden gem that should not be ignored. The shop has been in business for over 40 years, and teas, coffees, spices and even hot chocolate are measured out on an antique scale. The old cash register can only total up to $6.00 in sales, so most orders are hand-written. Stay and sample a cup of fresh brewed tea or coffee made in a french press, but leave your phone in your pocket, as there is no WiFi here! Next door is Fraulie&apos;s German Deli. This small space is packed with traditional German canned goods, breads, crackers and deli items. Warm and welcoming, this shop is also adorned with German decorations. Tastealotta has a huge variety of gourmet oils and vinegars to top off your next recipe. Sample and compare flavors, pick out some seasonings and sign up for a mozzarella making class! It may not have a Lemoyne zip code, but One Good Woman is less than a mile&apos;s drive and features fine teas, coffees, kitchen accessories and gadgets and a great selection of gift items. My favorite purchase of the day was Wine-Oh! tea, which is rumored to reflect the tastes of Merlot. I was able to visit all of these shops in about a three hour time span, which meant it was time for lunch! If you picked up ready-to-eat goodies from the farmer&apos;s market, nearby Negley Park offers great views of the Susquehanna River and Harrisburg skyline, perfect for a picnic. 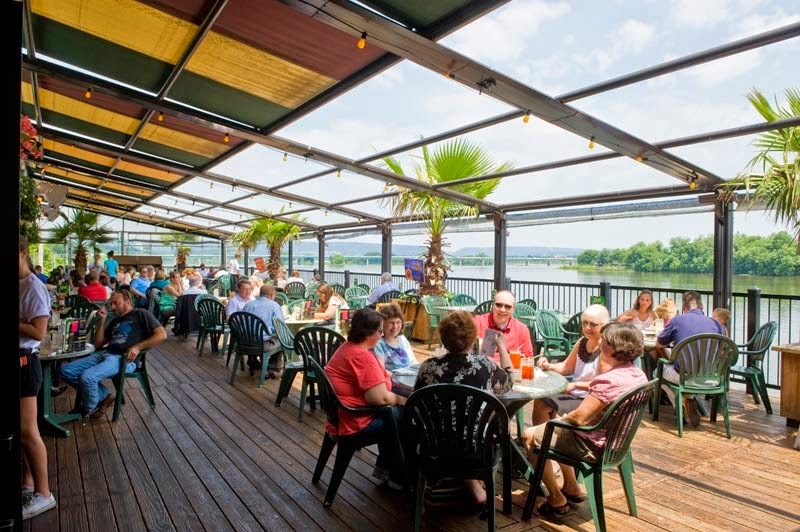 If you prefer a nearby restaurant, The Pizza Grille, Dockside Willies, Duke&apos;s and RockBass Grille offer outdoor seating and great menus.